If your boiler is generally quiet and you suddenly notice an out of place noise, check it straight away to see what you need to do to get rid of the noise. 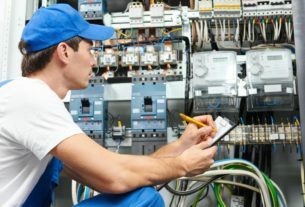 Doing complicated repairs on your boiler should best be done by an expert professional. Do not attempt to take components apart if you don’t know what you are doing. Report any noise to your service provider, and they will check it for you and provide the right solution for the problem. Before the cold season commences, test your boiler to see if it is functioning correctly. If it doesn’t, you still have time to carry out repairs in time for winter. Turn the thermostat on. You will hear the boiler run, and if it runs for a considerable amount of time without stopping, then you are good to go. But if after only a few minutes the boiler stops running, it is time to call your heating service provider for some maintenance and repairs. If you have members of the family who have respiratory issues, you must replace your heating system’s filter more often to get rid of allergens that may cause their illnesses to get worse. The usual timeframe for filter replacement is every three months, but if you have pets and ill members of the family, you should check the filter at least once a month to see if it already needs replacing. You don’t want to take a shower or a bath with freezing cold water, right? Once the heating system has completed at least one hour of non-stop operation, check the pressure and temperature to see if they are both within the specified limits. Check the specified range of water pressure and temperature in the manual. If the pressure and temperature fall below the indicated range, you must call your technician. If you notice anything off about the performance of your boiler, even if it is something minuscule, do not ignore it as it may escalate and become a bigger issue that will be out of your control. Your gas and heating systems should always be in good running condition, not only to serve the purpose of providing your home or business with gas and heat but to keep you safe as well.